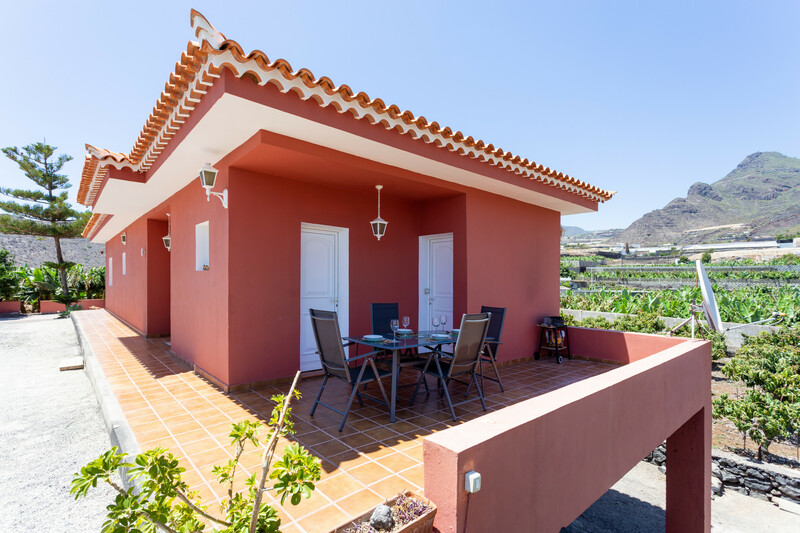 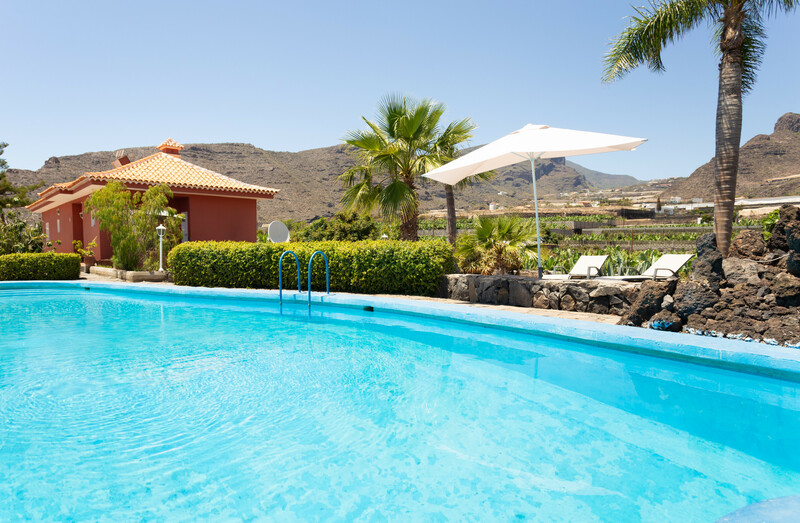 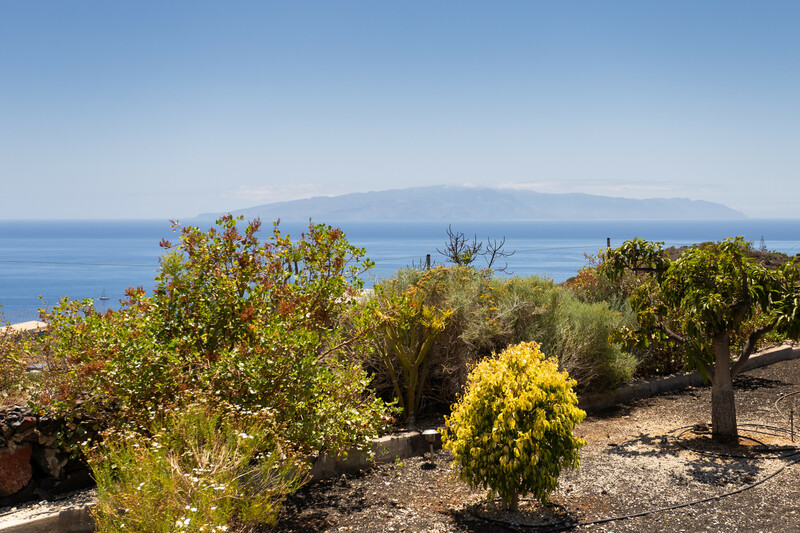 Only 4 km from the beach you will find this villa with pool and fantastic views of the Atlantic, the island La Gomera and the Teno Mountains. 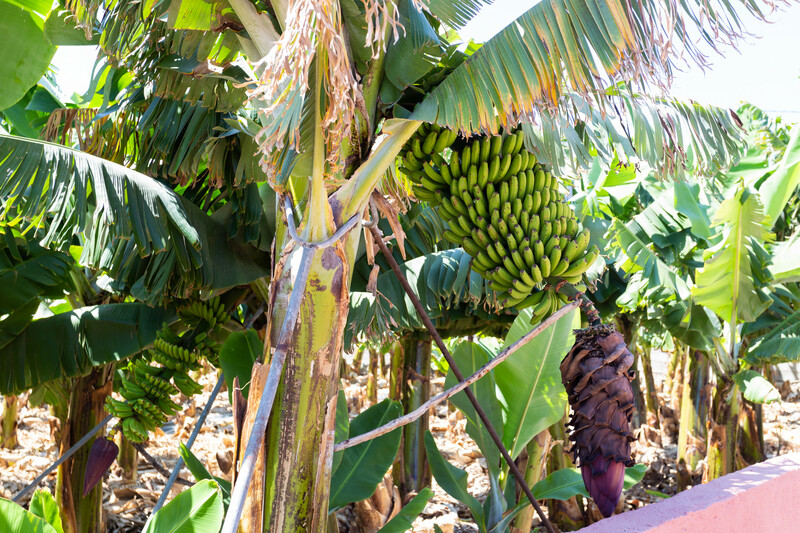 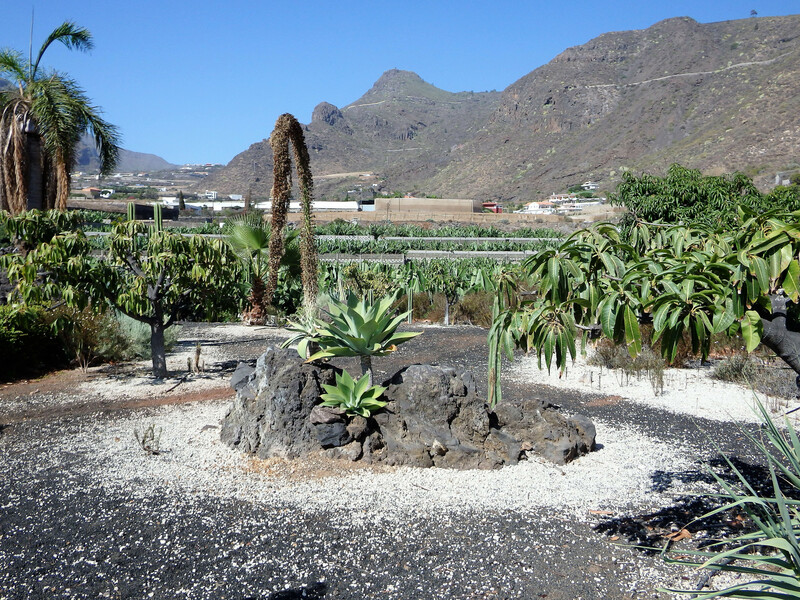 The location is perfect for nature lovers and individual tourism, where you can relax and disconnect from the rest of the world, surrounded by banana plantations and tropical fruit trees. 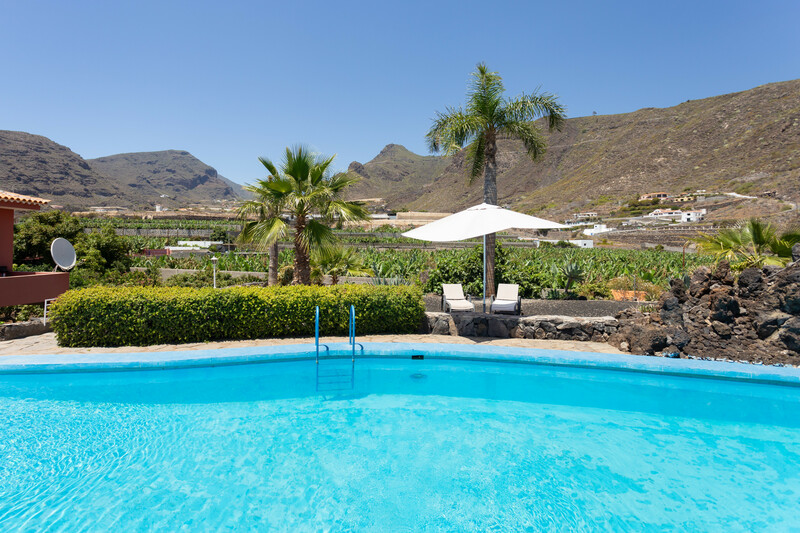 In the finca of about 10.000 m2 there are only two villas that share the pool and gardens, but the terraces are separated and you will enjoy privacy. 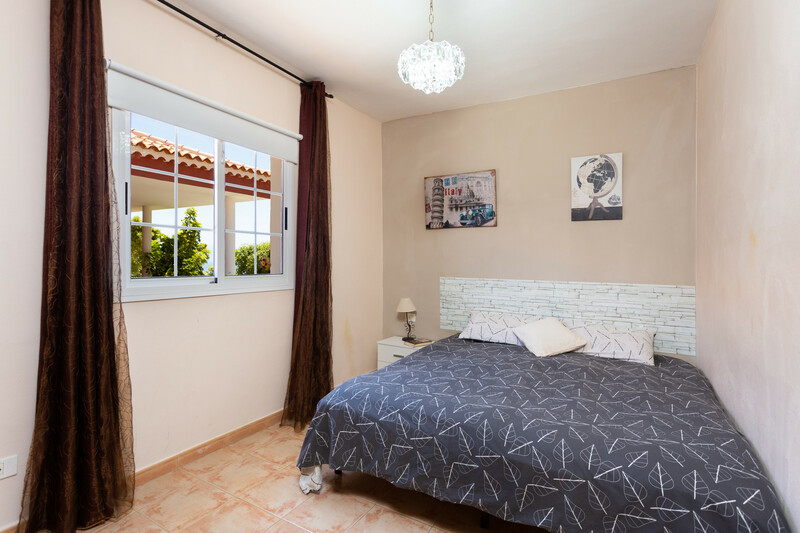 The house has two bedrooms, a living-dining room with a full fitted kitchen, a bathroom, a laundry room and a private terrace. 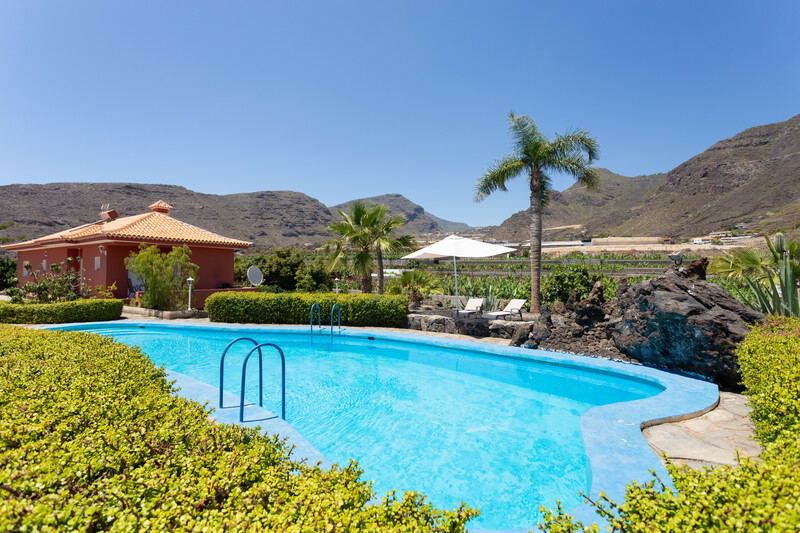 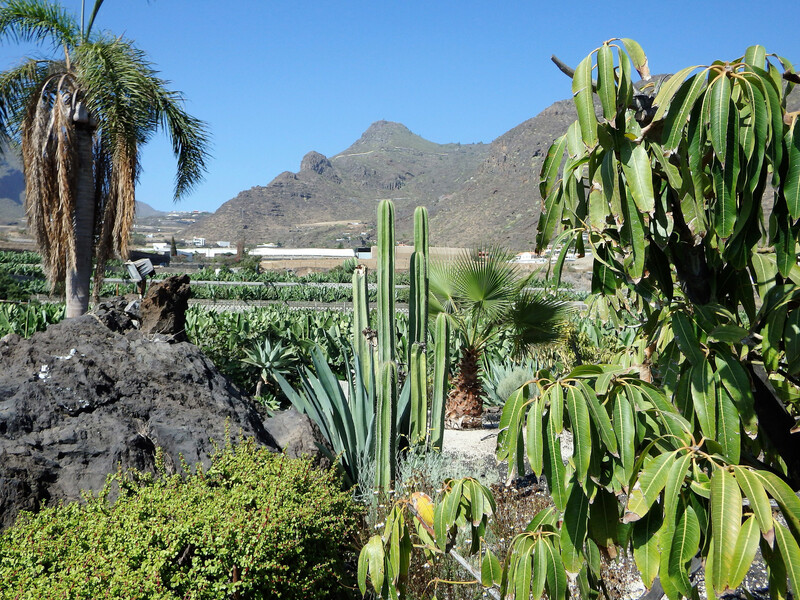 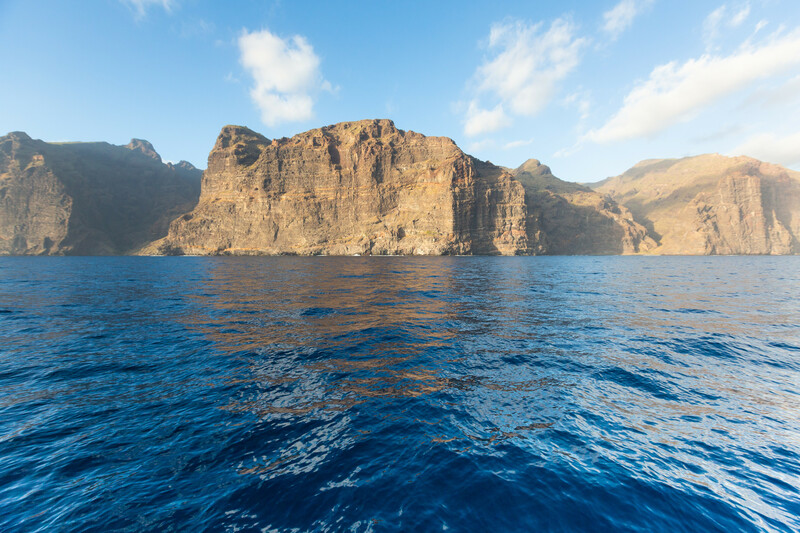 A few minutes drive from the house you will find the touristic resorts of Los Gigantes and Puerto Santiago with a large selection of bars, restaurants and water sports. 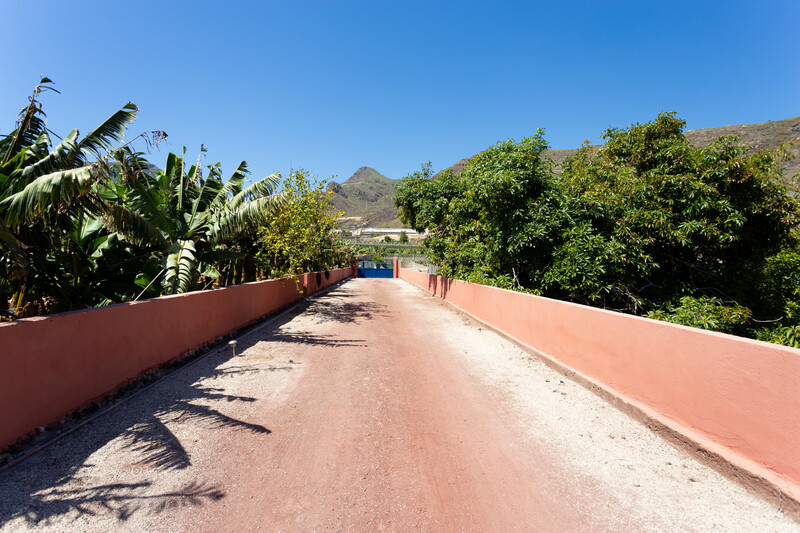 Hiking and trekking friends will also find a network of trails and in the neighborhood and you have also the opportunity to make paragliding. 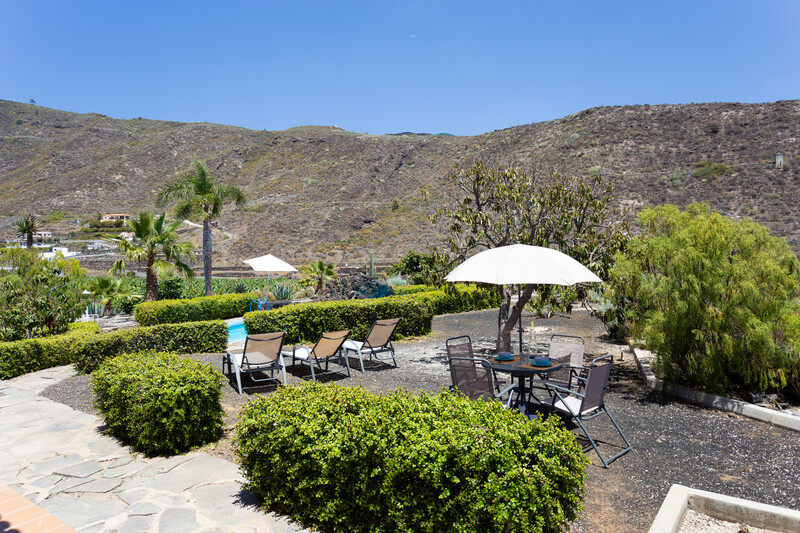 Because of the very mild temperatures, this is the perfect location for the whole year to spend your holidays. 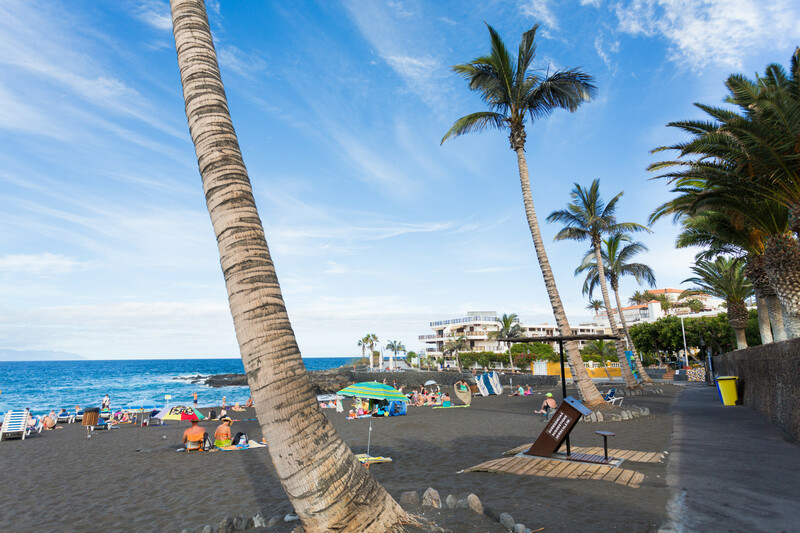 Children are especially welcome. 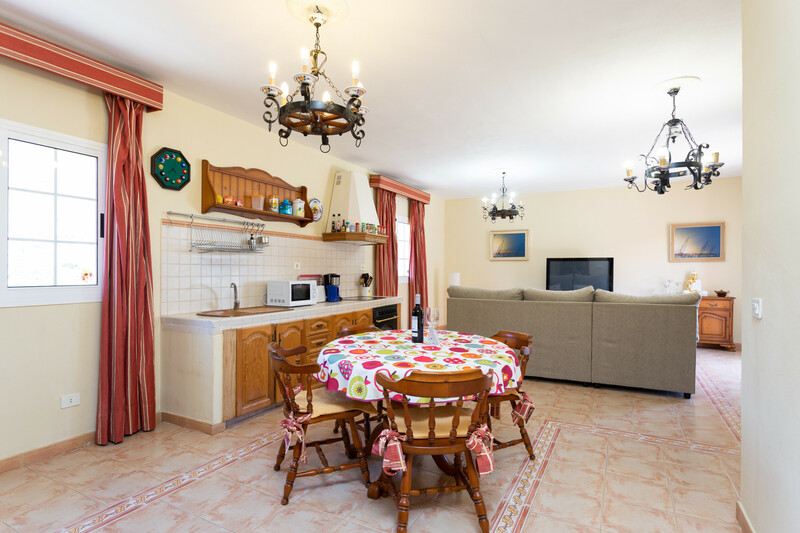 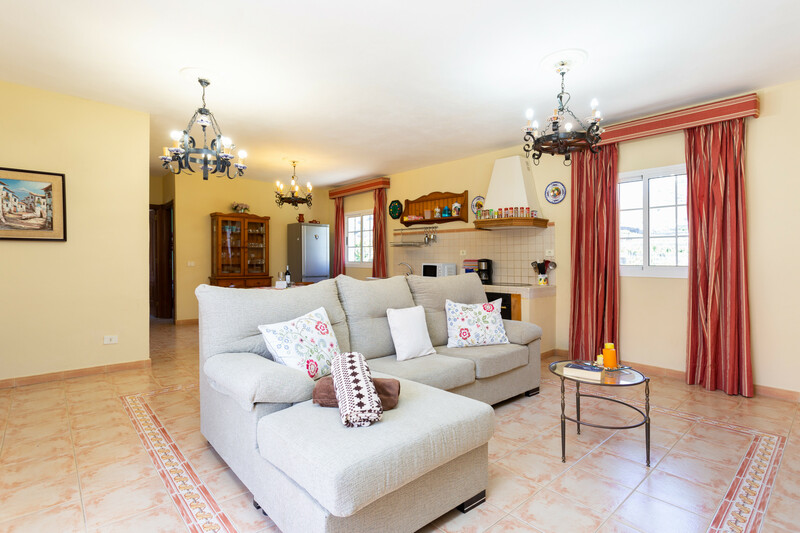 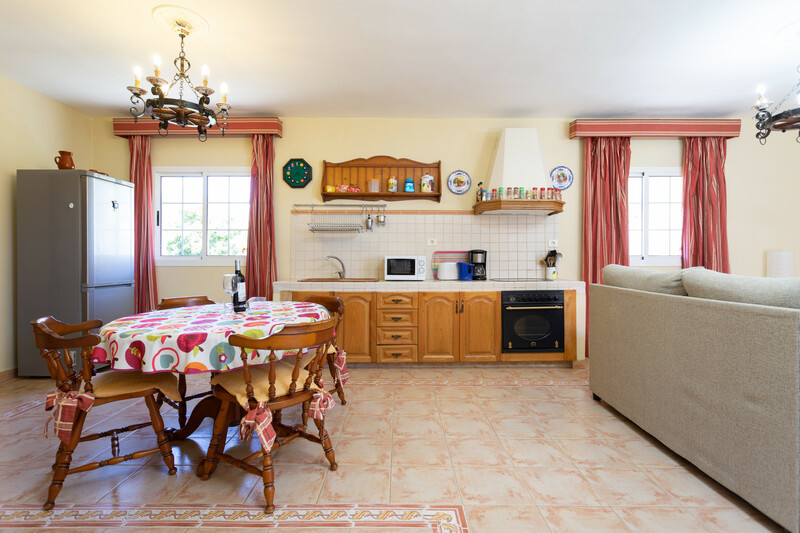 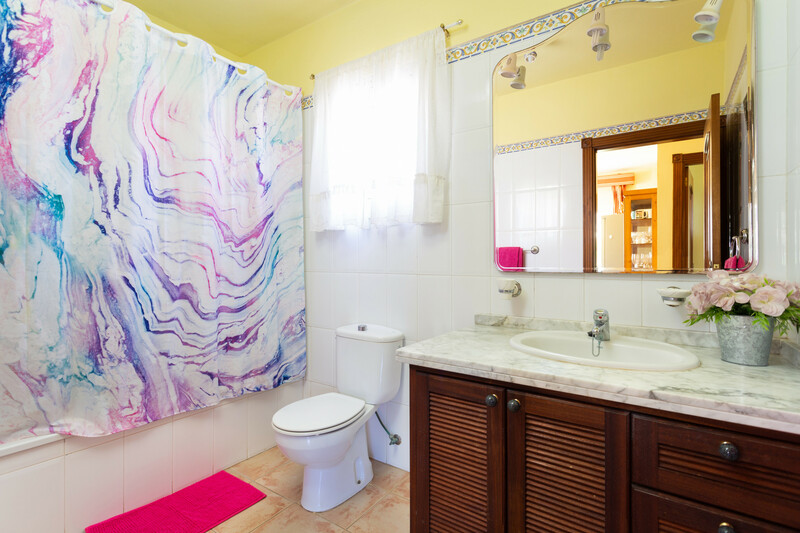 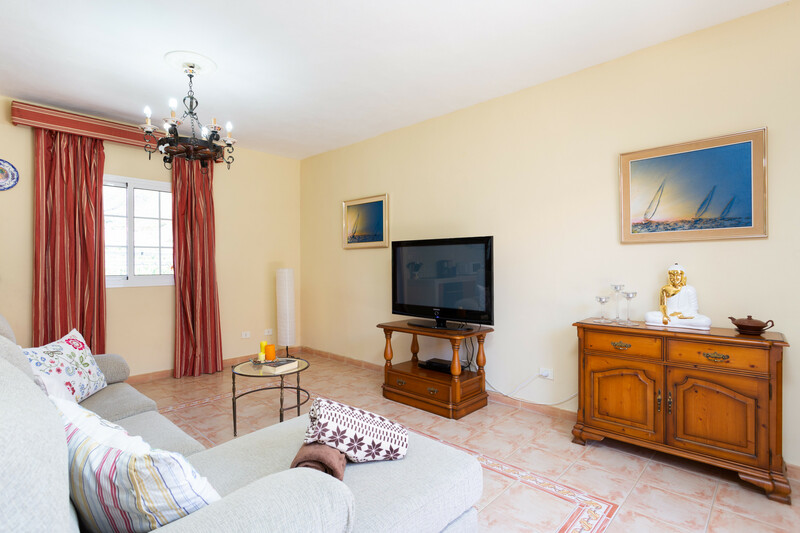 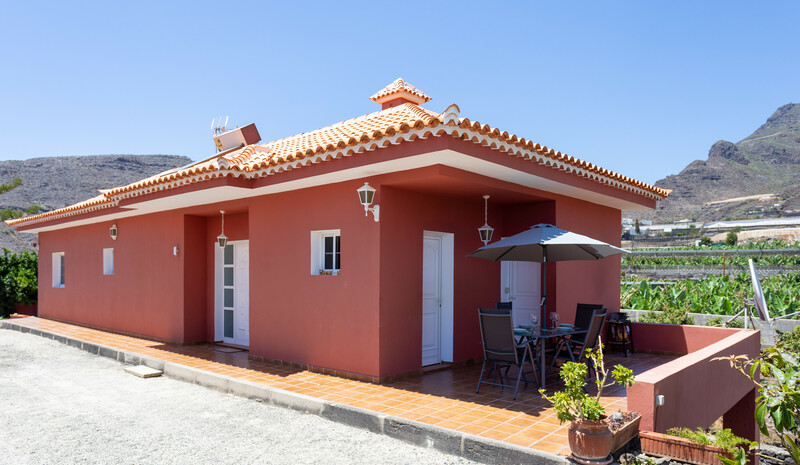 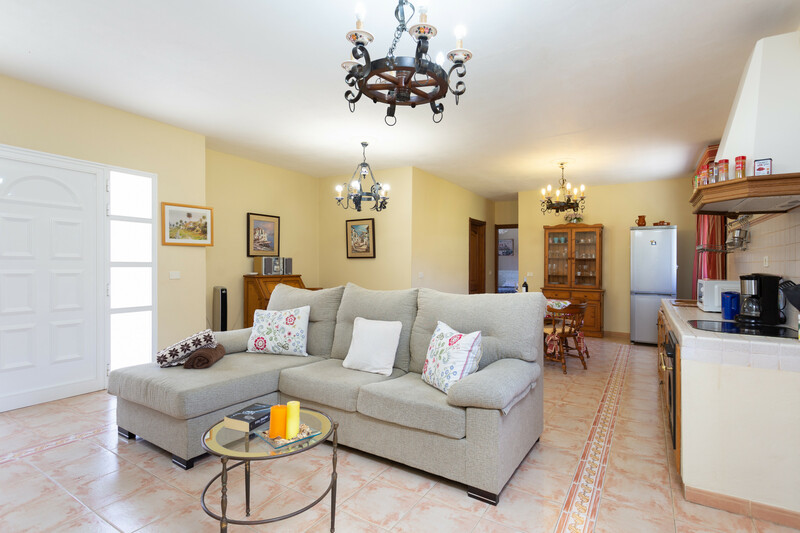 1 TV, TV Satellite (Languages: Spanish, English, German), Stereo, garden, garden furniture, fenced garden, 20 m² terrace, barbecue, iron, internet (Wi-Fi), hair dryer, 90 m² property, 10 m² plot, communal swimming pool (dimensions 4 m x 12 m irregular), Open-air parking (2 places) in the same building.